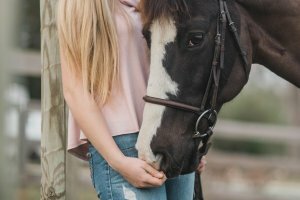 My daughter rode horses from age 3 to 13. She had regular lessons and was jumping and helping out at the yard so you can imagine my shock when out of the blue, she announced that she wanted ice skates for Christmas. She couldn’t explain where this desire came from, she just wanted to have a go at ice skating. With no other brainwaves for her Christmas present, I reluctantly bought her a cheap beginners pair of Jackson skates and a 6 week skating course starting in January. Family bought her other skating bits and bobs such as blade guards and a small skate bag. Her excitement on Christmas day when she began to open her presents was off the scale and something that will stay with me forever …. there was much screaming and she literally wore her ice skates (with blade guards on) ALL day! The beginning of January rolled around and I took her for her first ‘Learn to Skate’ group lesson. Bearing in mind that she’d only been on the ice once before for a birthday party about 4 years previously, I wasn’t expecting a lot but she got on the ice like a duck to water and was off. To my shock and her delight, she was moved up 3 levels in her first lesson and she never looked back. She was so taken with ice skating that I could see this wasn’t going to be a quick fad as I’d expected and so we had the ‘money chat’. I explained to her that horse riding was a very expensive sport and I couldn’t justify the cost of that if she also wanted to do skating lessons. At this point I was still naive enough to think that horse riding was more expensive than ice skating …. oh how I’ve kicked myself about that in the years since! 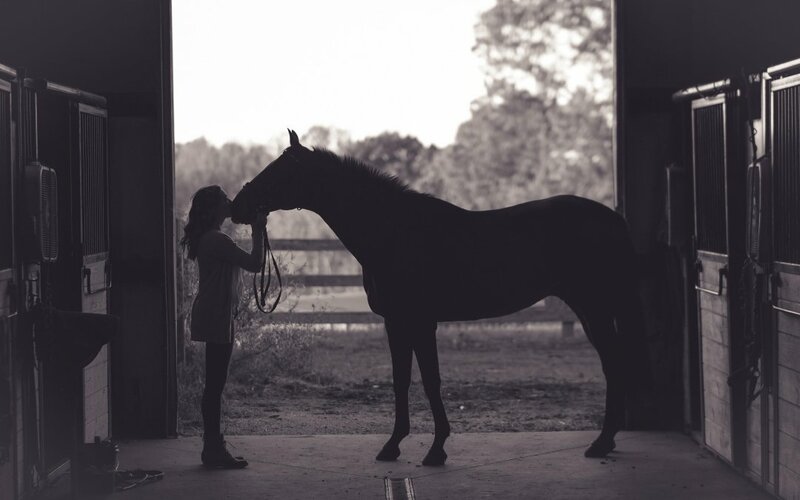 Without a backwards glance she packed in her riding lessons – her skipping off after the last one with a big smile on her face and me having a quiet sob on her riding instructors shoulder at parting ways after so many years … after all this particular instructor had been teaching her for 6 years at this stage. It was definitely harder for me to say goodbye than her! From then on, she lived and breathed ice skating …. she practiced her steps in the kitchen, begged for me to take her to the rink as frequently as possible and spent most of her weekends on the ice. She whizzed through LTS in 3 months flat at which point she started asking for private lessons. It was here that it began to dawn on me that skating was not a ‘reasonably priced sport’. 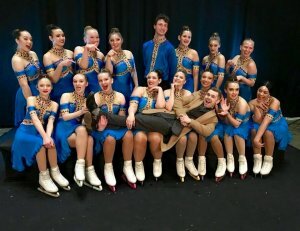 She’s now almost 20 and has literally grown up at the rink – her closest friendships have been built here, she’s shared in the highs and lows of competitive life with her team mates and her coach is as much a personal mentor to teenage angst as he is her skating coach. She’s learnt about passion and dedication, determination, hard work and prioritisation juggling school work with training. She’s learnt what it means to work together as a team as well as work hard on her own, accountability for her own progress and respect for the coaches and assistants that work with the skaters. After a few years of watching from the sides, one of the coaches offered to teach me how to go backwards. That was all I’d ever wanted to know how to do and so I took him upon the offer thinking it would be a couple of lessons and then I’d be happy going backwards. 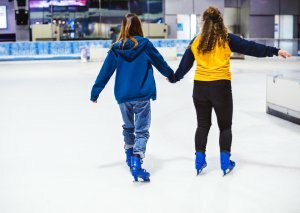 Except that having competitively danced as a younger adult, I got addicted to skating almost straight away and was keen to learn the next thing and the next thing. 3 years later I’m still skating and starting to take my NISA levels in Field Moves and Pattern Dance. I volunteered as a Team Manager and more recently, Chair of the synchro club as I was already spending the time at the rink watching her practice with the team and for a couple of years I sat on the Skating Club committee too. 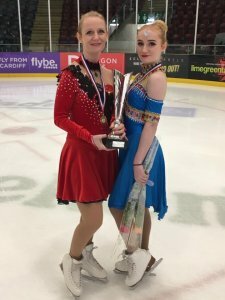 I got involved with costume making and blinging for both synchro and skating club as I’ve always been ‘crafty’ and had already made and blinged a couple of dresses for my daughter. From there, the beginnings of my current skating clothing business was born and it has evolved and grown over the last 3 years …. it’s fair to say that the decision to buy my daughter ice skates definitely changed my life!